Free to Play is a 2014 documentary film by American video game company Valve Corporation. 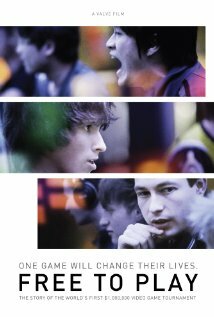 The film takes a critical look at the lives of Benedict "Hyhy" Lim, Danil "Dendi" Ishutin and Clinton "Fear" Loomis, three professional Defense of the Ancients (DotA) players who participated in The International 2011, the most lucrative video game tournament at the time. The central focus of the film is how their commitment to Dota had affected their lives and how this debut tournament for the sequel, Dota 2, would bring more meaning to their struggles. Jeremy Lin, professional basketball player and an avid player of Dota 2, makes a guest appearance in the film.